Korea is confronted with a "tax dilemma" in the face of an economic slowdown on falling private investment. Worsening economic data here has been putting pressure on President Moon Jae-in to rethink his high corporate tax policy. Many major economies, including the U.S., have been doing well as a result of the policies of cutting taxes and releasing the shackles of regulations on businesses. Besides regulations, the question remains whether Korea should maintain the current corporate tax rate of 25 percent or lower it to revive investment. Korea was the only country to raise the rate among 170 economies in 2018. The 25 percent is the seventh-highest among OECD member nations whose average is 21.5 percent. The country's revenue from collecting taxes from companies accounted for nearly 14 percent of its total tax revenue as of 2016. This was the fifth-highest, and higher than the OECD average of 9 percent. This could turn out to be higher given it raised the rate back to its previous high of 25 percent, from 22 percent. Analysts are split over the tax issue. "The rate is higher than the OECD average," said Han In-goo, a professor of finance at KAIST Business School. "A higher rate has the potential to further weigh on corporate investment and the economy." This would not be good for jobs and even for public finances as the slowdown can decrease tax revenue in the long run, he added. Han is a former president of the Korean Academy of Business Administration. Hong Sung-guk, an independent economist, agreed with such a view, given the economy relies on exports backed by corporate investment for growth. Hong, a former Mirae Asset Daewoo chief executive, heads Hyean Economic Research. However, the country has kept a relatively high tax rate because the economy has been driven by chaebol. "It's the way this economy was built and structured in the beginning ― a chaebol-driven, not consumption, economy. This is unlike in the United States whose economy is run by middle-class consumption and small- and medium-sized enterprises," he said. The taxes from chaebol have mostly helped fuel and sustain public finances. The government cannot boost and manage its finances with tax revenue from middle-class incomes. This is simply because those incomes are very low, he added. Companies here enjoy a long list of tax credits and deductions on research spending and employment, just as individuals get tax returns on their book, arts, education and healthcare spending. Hong, therefore, said it was inappropriate to "compare" the rate with others and come to a conclusion that Korea's corporate tax is higher than any other particular country, while they all have different economic structures and sizes. Whether to increase or lower it has been the source of contention and political debate over the past years, especially during the election period. There are always two sides of the argument. And both sides tend to be right. The government needs to raise taxes so it can finance the growing costs of welfare, security and infrastructure development and management. On the other hand, it should lower taxes to reduce people's and companies' burdens as higher taxes hinder investment, consumption and job creation. The incumbent Moon administration has taken the former stance of higher taxes to pay for social welfare services amid an aging society and inequality. He has also argued that the former government's trickle-down economics did not work even with favorable tax cuts. The former government of Lee Myung-bak lowered the rate from 25 percent to 22 percent in line with his business-friendly policy. Also, the global financial crisis in 2008 prompted the Lee administration to introduce various tax cuts and incentives to save jobs and keep industries afloat. 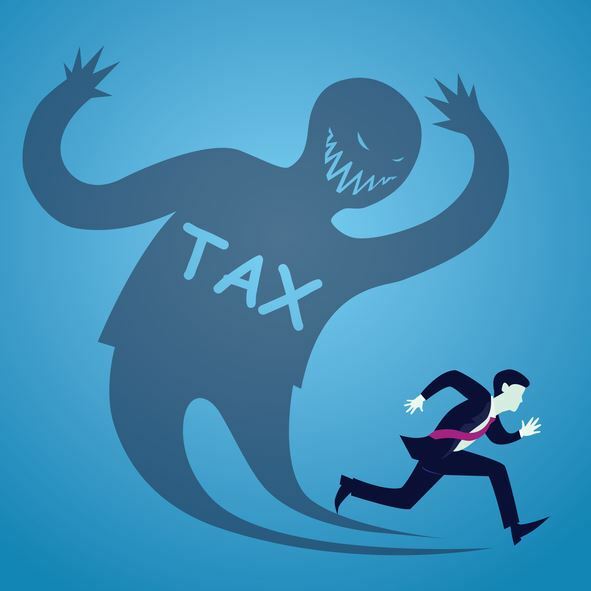 The country's corporate tax rate ranges from 10 percent to 25 percent, imposed in accordance with companies' annual earnings level, from 200 million won to over 300 billion won. Finance Minister Hong Nam-ki said during his confirmation hearing in early December that a higher corporate tax has had a "limited effect" on the broader market, backing the President's argument. The 25 percent rate is imposed on big conglomerates, while "the majority" pays the rate of around 20 percent or less, which is lower than the U.S.' 21 percent, Hong added.